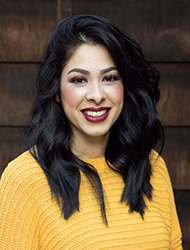 Candy Anaya is a Certified Medical Assistant (CMA) who joined our front office staff in 2016. She has always carried a passion for helping others and this led her to pursue a career in the medical field. What Candy appreciates most about working at MHI-Pasadena is the compassion for others that is shared by the entire team. 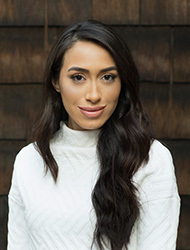 Melissa Franco has been a part of MHI-Pasadena front office staff since September 2015. 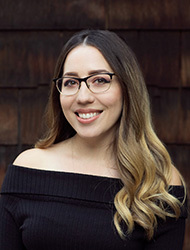 Melissa continues to enjoy working at MHI Pasadena because of the warm and friendly environment that it offers both staff and patients. She is currently pursuing her bachelor’s degree in Accounting as she has a passion for working with numbers. During her free time, she enjoys being with family and going to visit the horses at her husband’s barn. Lusine Aleksanian joined our front office team in 2017. She holds a BA Degree in Psychology from UC Irvine. After graduating, she worked as a registered behavior technician, implementing ABA interventions to children and adolescents, which immensely sprouted her interest in the field of medicine. She is continuing her education as a pre-med student with the intent to pursue a doctorate in psychiatry. She feels both happiness and gratitude to be working at MHI-Pasadena with individuals that respect and care for one another.